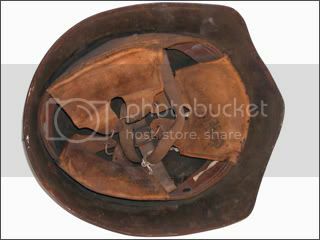 The first "American" helmets were actually produced in England. The American Model 1917 began production in the United States in the fall of 1917. This example features the traditional mix of sawdust in the paint to give it the rough texture. This M1917 helmet features the painted "sleeve insignia" of the 77th Infantry Division ("Statue of Liberty") painted on the front. This helmet comes from the collection of Cody Grayland. 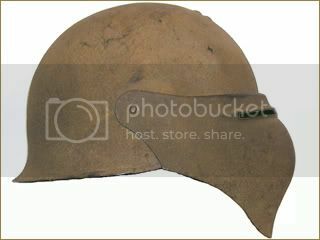 This M1917 helmet features the painted "sleeve insignia" of the 78th Infantry Division ("Lightning") on the side of the helmet. This helmet comes from the collection of Cody Grayland. 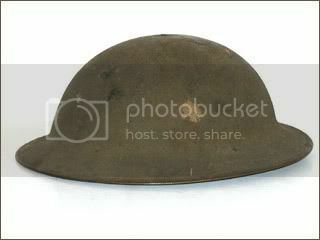 Designed in June of 1917 this helmet aimed to protect more completely the sides and back of the head. It was based on the "Standard" helmets of classical Greece and Italy in the 15th Century. 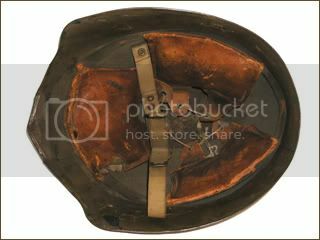 This experimental helmet saw limited field testing during the First World War, but it was deemed to be too similar to the German Model 1916 helmet. Only some 2,000 Model 2 helmets were produced. It is one of the rarest American experimental helmets as a result. This helmet was designed to provide the virtues of the Model 2 with the ease in production of the British MkI. Its dome protected the wearer's head while not imparing the vision. It uses a three pad liner system with a canvas chinstrap. About 2,000 of these experimental helmets were produced by the firm of Hale and Kilburn Company. 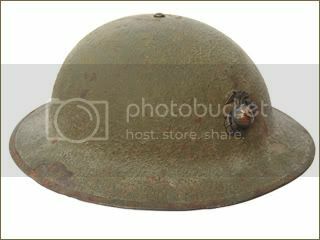 And unlike the Model 2 or Model 8, this helmet design actually saw limited testing in the trenches in France at the end of World War I. 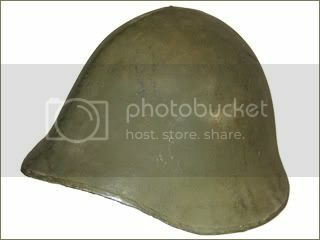 In the end it was deemed to look too much like the German M16 helmet and thus not adopted by the US Army. This experimental helmet features a visor to protect the wearer's face almost completely. 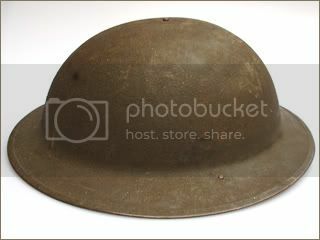 The manufacture of this helmet, the Model 8, was undertaken by Ford Motor Company in November 1918. 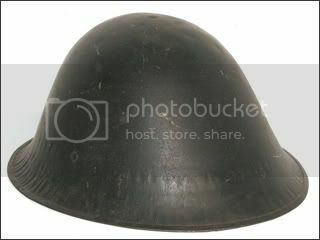 About 1,300 helmets of this model were produced. It featured a three pad liner system similar to the one found in the Model 2. This experimental helmet was deemed "The Liberty Bell" because of its unique shape. 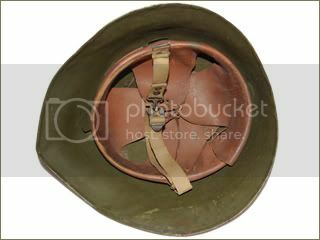 It was designed by Major James E. McNary and submitted to the American Helmet Committee for consideration as a replacement for the M-1917 helmet. It was initially accepted but was disliked by the troops. 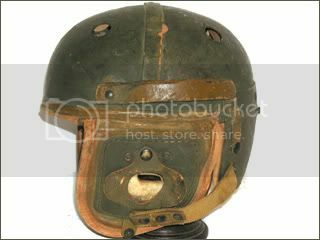 The helmet was officially abandoned as a replacement helmet in 1920. Several different liner types and chinstraps were used with the Liberty Bell. 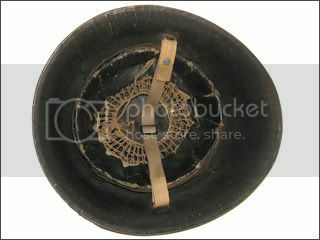 This example features a metal liner band with oil cloth suspension, and four coiled springs to act as a buffer. The chinstrap is light cloth with an H-loop. The Model 5A was a cousin to the Model 5. In the late 1930s the US Army once again considered replacing the Model 1917. The Model 5A has a gentler slope to the side and a slightly deeper bowl. It actually is closer in shell shape to the Model 2. 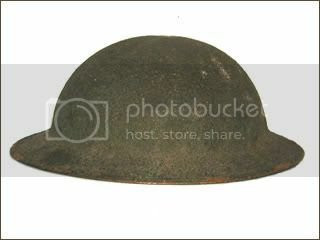 The liner design would be used in the stop gap Model 1917A1 helmet. 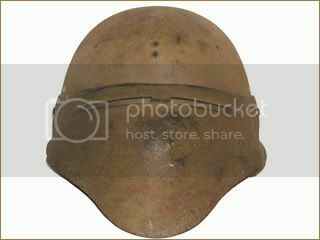 Several different shell patterns were used, but the total number of Model 5a helmets produced is unknown. This example comes from the collection of author Chris Armold. 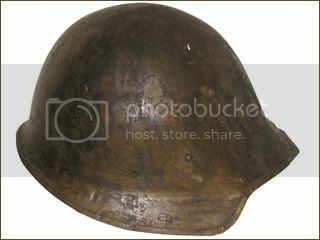 This transitional helmet features the steel shell of the American M-1917 helmet with a new version liner, based on the Model 5A. 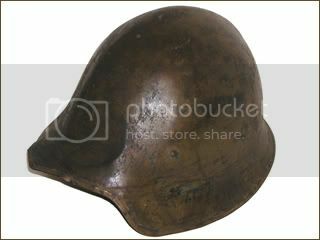 These helmets were a stopgap prior to the outbreak of World War II. 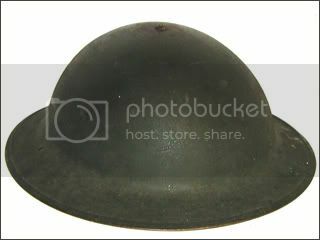 It is this helmet model that was worn by American troops around the world at the start of the Second World War. 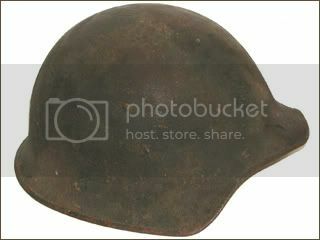 This example features a rough paint, uncommon for M-1917A1 helmets. Whether it is the original paint of the M-1917 or was repainted is unknown. 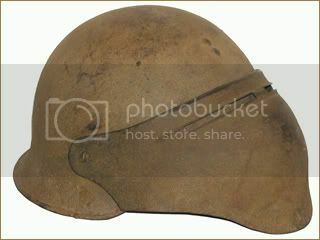 This transitional helmet example features a light sandy texture, which is common for the M-1917A1. This was likely a new production, rather than a reissue of WWI stock. This M-1917A1 features a rough paint texture, and is likely also an M-1917 that was retrofitted with the new liner. 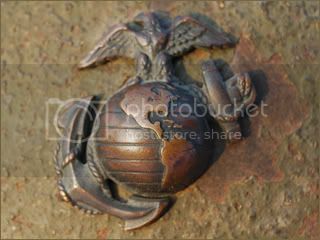 This example also features the USMC Eagle, Globe and Anchor (EGA). Despite rumors these helmets were not likely used at Wake Island. This example comes from the collection of author Chris Armold. 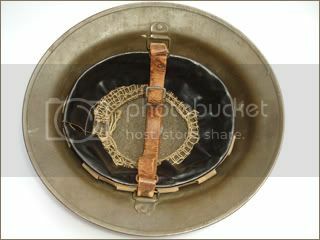 Designed prior to World War II this was the primary headgear issued to tank crews during World War II. 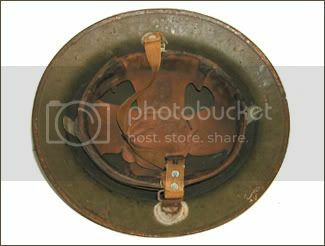 Based on cavalry-style and an assortment of football helmets of the era this piece of headgear was designed to provide protection against head injuries while inside the tank�but offered little ballistic protection. 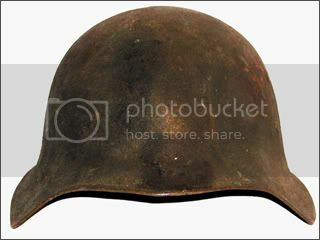 It should be noted that the official nomenclature for this piece of headgear is just �Tank Helmet.� There is no M-number designation or long military name. 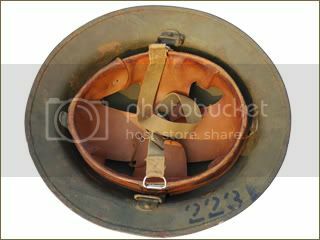 Likewise the helmet was not considered a clothing item (like a helmet or hat) but rather ordnance as part of �On Vehicle Material� of the tank. Many of these helmets were found un-issued in a cache of military equipment in India in 1994. This particular model however appears to have seen some use, possibly during the Second World War.